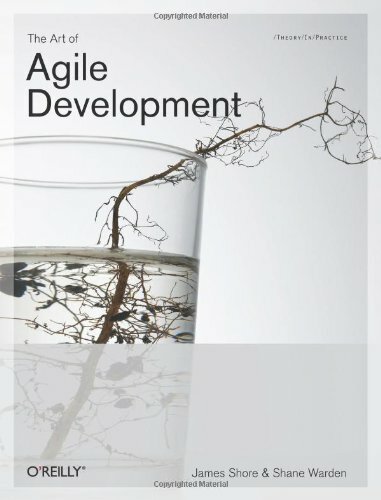 So how can you do it while remaining agile ? Discuss with your experts, take some margin, do whatever voodoo you are used to. This will not be worse than it used to be. It might turn out better, thanks to your agile process, you should be able to deploy with a reduced the scope if needed. This technique is explained in The Art of Agile Development, in section “Risk Management”, page 227. Then estimate them with story points. Chances of making it | Using XP practices | Otherwise | Description ———————|——————–|———–|—————————- 10%	|x1	| x1	| Almost impossible (ignore) 50%	|x1.4	| x2	| 50-50 chance (stretch goal) 90%	|x1.8	| x4	| Virtually certain (commit) As explained in The Art of Agile Development page 227, these numbers com from DeMarco’s Riskology system. Using XP practices means fixing all bugs at all iteration, sticking rigorously to DONE-DONE, and having a stable velocity over iterations. This factor will account for unavoidable scope creep and wrong estimations. Use you iteration velocity to know how many sprints you’ll need to finish. What about unknown risks ? Unfortunately, using just the previous, you might miss some unavoidable important tasks you’ll need to do before you can release. Think about monitoring tools and stress testing, when did your product owner prioritize these ? These are risk management activities that need to be added to your backlog in the first place. Here is how to list most of them. Contrary to the widespread belief, agile practices and metrics actually helps to make commitments. It would be better if we had project specific statistics instead of generic risk multipliers. It’s a shame that task tracking tools (JIRA & friends) still don’t help us with this. We should keep in mind though, that estimating all your backlog in advance takes some time and is actually some kind of waste. If possible, just sticking to build (and sell) the thing that is the most useful now is more simple (this guy calls it drunken stumble). Tech Mesh 2012 - Building an Application Platform: Lessons from CloudBees - Garrett Smith from Erlang Solutions on Vimeo.